With a wide range of types, capacities and sustainable refrigerant options, Carrier is a leader in chiller options. 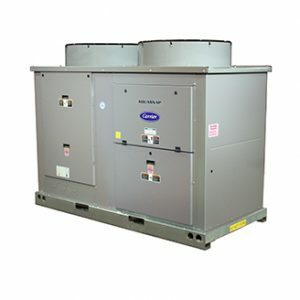 With non-ozone depleting refrigerant, simple installation, superior efficiency and powerful controls, these units are ideal for both replacement and new construction projects. Carrier’s innovative chiller solutions are designed to bring efficient, reliable cooling to all types of large commercial applications.